Ever walk into a party feeling confident and looking great…only to pass by a mirror at midnight and see raccoon eyes staring back at you? 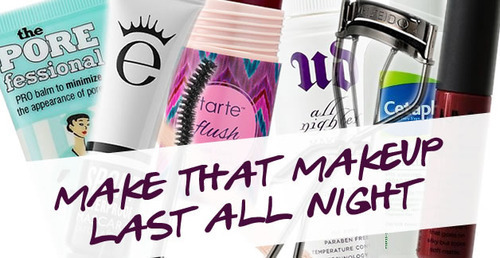 This holiday season, ensure your makeup stays put all night long. Read on for some useful tips and product picks! Some people might be surprised to know that primer isn’t the first step in a long-lasting makeup look…moisturizer is! Use a hydrating face lotion (preferably with SPF) on your face and neck, and wait a few minutes to let it sink in before moving on to the next step. 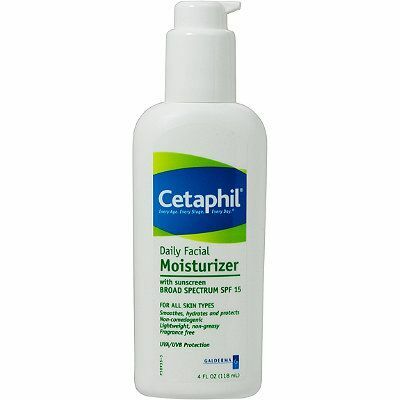 Cetaphil is a classic, affordable option. Now it’s time to prime! Prime everywhere. Face, eyelids…even lips and lashes if have a look that really focuses on one of those areas. Check out our extensive Primer 101 blog post to learn all the benefits of primer and for product recs. 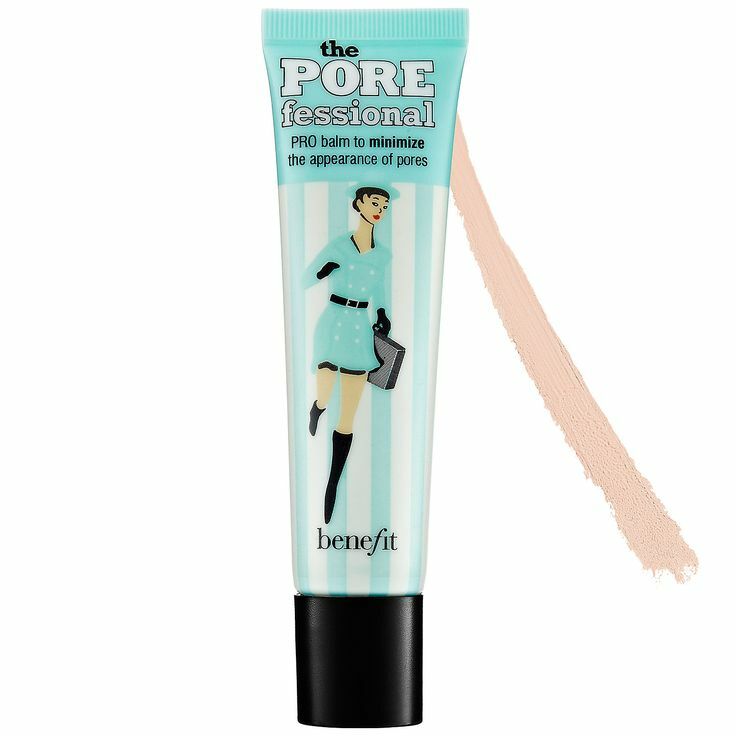 Two primers you should always have in your makeup arsenal: Benefit’s POREfessional for face and Urban Decay’s for eyes. Finish off with a light dusting of translucent powder, like this one by Laura Mercier, to get rid of any excess oil which can lead to makeup slipping faster. The powder is a must for anyone with combo or oily skin! Let’s move on to eyes. I’ve come to the realization that falsies aren’t even necessary for most looks, as long as your lashes have a killer curl. Lash curlers make a world of difference. To get a perfect crimp, use a blowdryer to heat up your curler for about 10 seconds. As far as liners go, gel (like this one by ELF) tends to last the longest, but if that’s not your style, just make sure to use waterproof EVERYTHING. Mascara included. 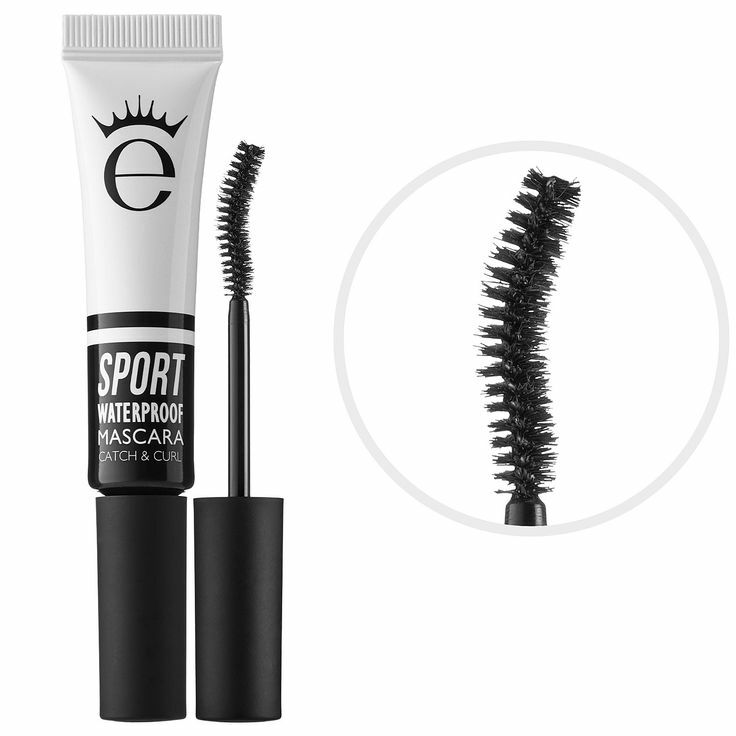 Try Sport Waterproof Mascara from the underrated Eyeko. Powder blush is fine if you don’t mind touching up throughout the night, but if you want your cheeks to stay put, apply stain first. 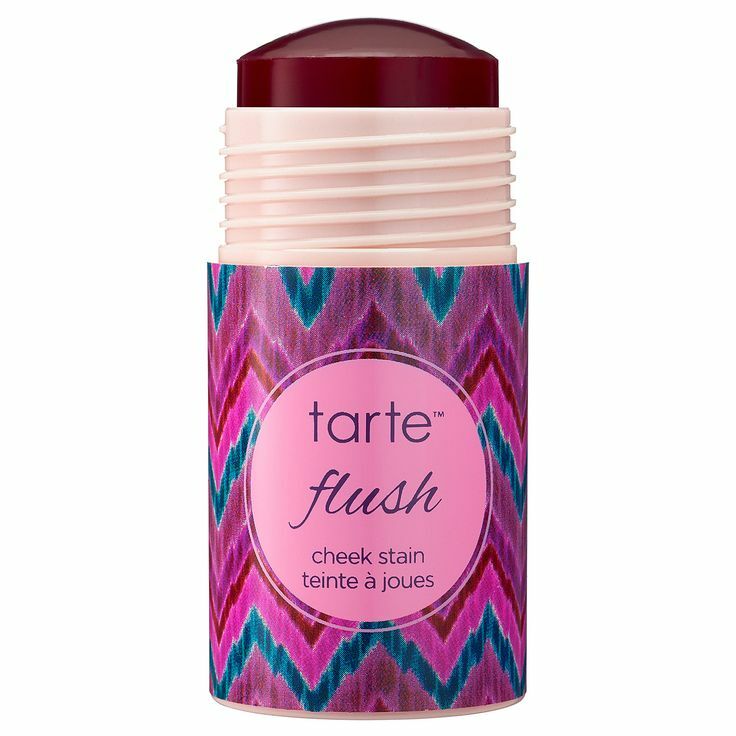 Tarte’s Cheek Stain gives a nice, sheer flush to cheeks. Top it off with a coordinating powder blush. Lips will also stay put much longer if you use a stain first – NYX’s Matte Lip Creams are gorgeous, non-drying (almost impossible to find in a stain) and super affordable! Remember to use a lip liner first to keep everything in place. Also, it’s crucial to use the apply-blot-repeat technique to get the color to really sink in. For the final finishing touch, spritz your face with a makeup sealer like Ben Nye’s Final Seal or Urban Decay’s cult-favorite All Nighter…and don’t forget, nothing completes your look quite like a radiant, confident smile! Follow all of these steps, and rest assured that your makeup won’t budge at all. Welcome to your new holiday party routine! Share your favorite long-lasting products and tips in the comments below and on PAMPADOUR.COM.